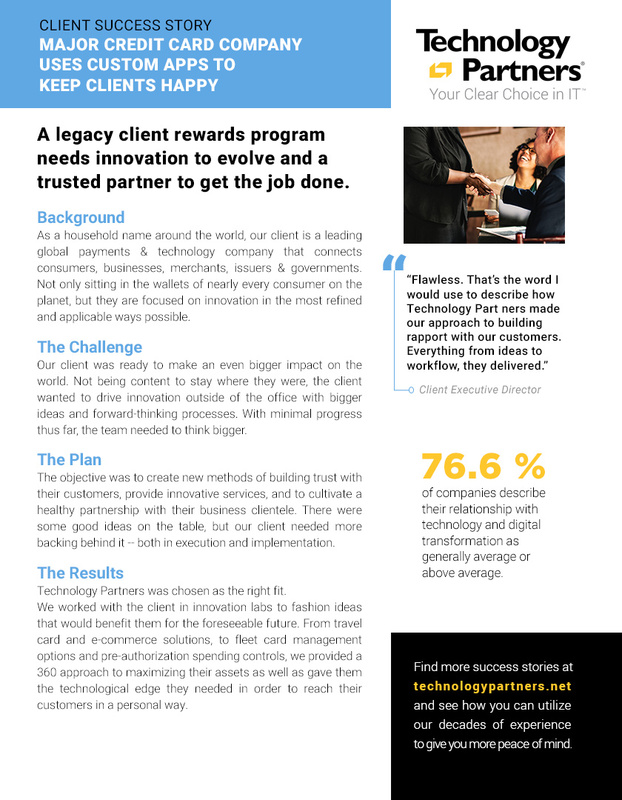 A legacy client rewards program needs innovation to evolve and a trusted partner to get the job done. As a household name around the world our client is a leading global payments & technology company that connects consumers, businesses, merchants, issuers & governments. Not only sitting in the wallets of nearly every consumer on the planet, their continual search for innovation drives them to continue their growth at every turn. Status quo is always easier than change, and continuing to evolve while refining best practices is a tough balancing act. Finding ways to inject innovation into a robust system required thinking both outside the box and outside the office. 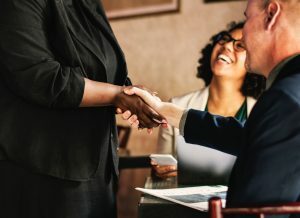 If our client could create new methods of building trust with their customers and provide new innovative services they could enhance their already healthy partnerships with their business clientele. With a slate of good ideas already in process adding in outside help could jump start their next chapter of service. Technology Partners jumped in. We worked with our client through Innovation Labs to ideate a swath of executable improvements. From travel card and e-commerce solutions, to fleet card management options and pre-authorization spending controls, we applied our holistic approach to maximizing their current systems and gave them the technological edge they needed in order to serve their customers better for a long time to come. 76.6 of companies describe their relationship with technology and digital transformation as generally average or above average.